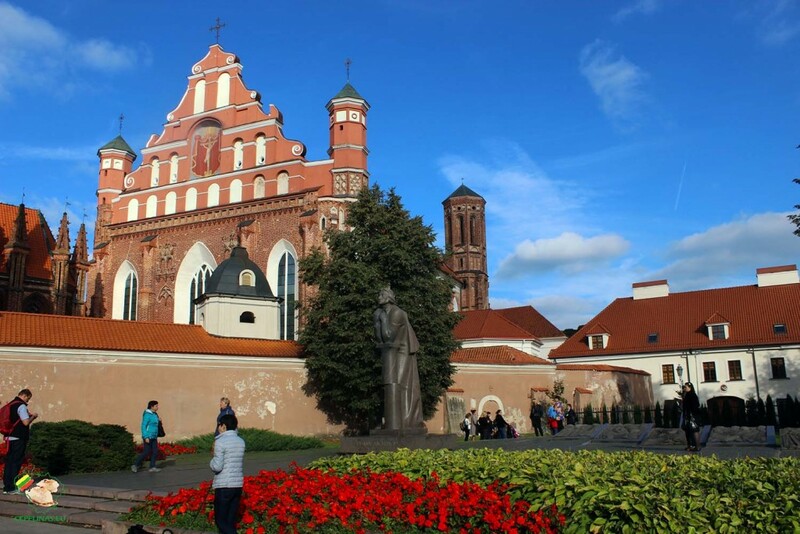 The Church of St. Francis and St. Bernard, or merely the Bernardine Church, is a Roman Catholic church in the Old Town of Vilnius. The shrine is dedicated to Saints Francis of Assisi and Bernardino of Siena. Bernardine Church is located right next to famous St. Anne’s Church and due to this often is unnoticed despite it is an important example of local Gothic architecture. The monks built a wooden church in the second half of the 15th century, after brothers Bernardine arrival in medieval Vilnius. 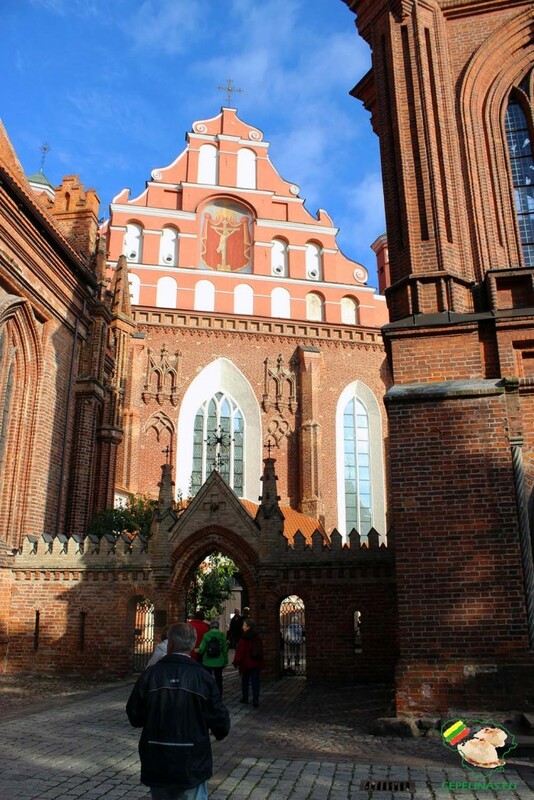 At the end of the same century, the church was transformed into a brick one. In the early 16th century Michael Enkinger, a master from Gdansk (Danzig), reconstructed the shrine again. Then the church was incorporated into the construction of the Vilnius defensive wall, so there are shooting openings in its walls. According to the legend, the Bernardine monks used to tell such good sermons, that crowds would come to listen. That is why the church is so large. The Bernardine monastery north of the church, built simultaneously with the church. 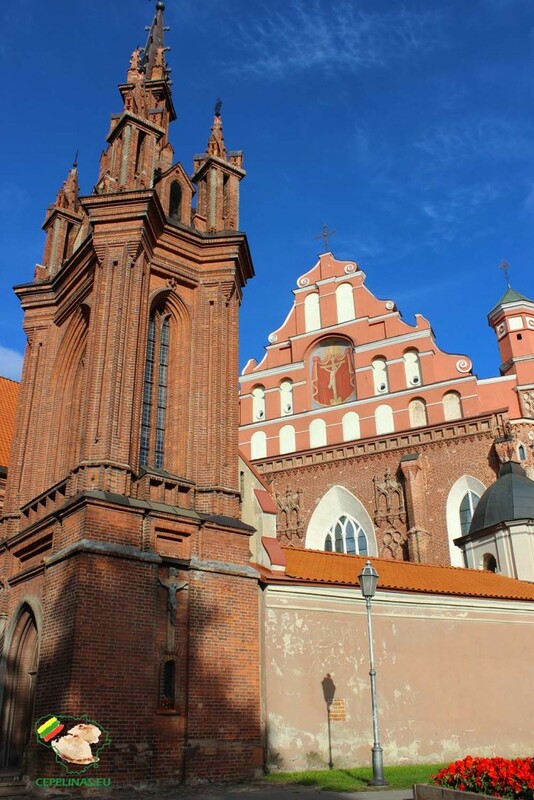 Since its founding, a novitiate and a seminary operated at the monastery, a rich library had been accumulated, and a scriptorium operated. There artists, craftsmen and organists among the monks. The shrine was devastated and renewed for few times, particularly after the 1655-1661 war with Moscow, when the Cossacks ravaged the church killing the monks and citizens who had taken shelter there. 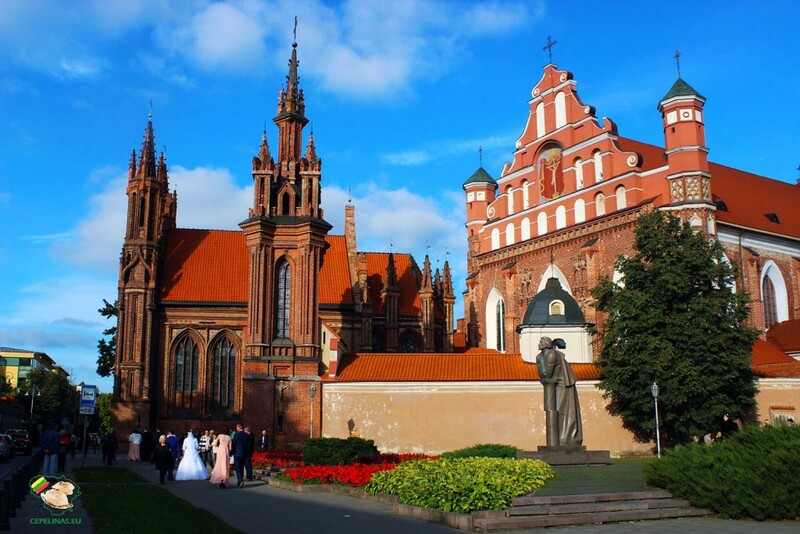 The monastery was closed in 1864 after the uprising in the Polish–Lithuanian Commonwealth, and the building housed soldiers’ barracks. In 1919, it was given to the art faculty of the university. Soviet authorities closed down church too, and transformed all complex to the Art institute. In 1994, the brethren of St. Francis returned to the shrine. 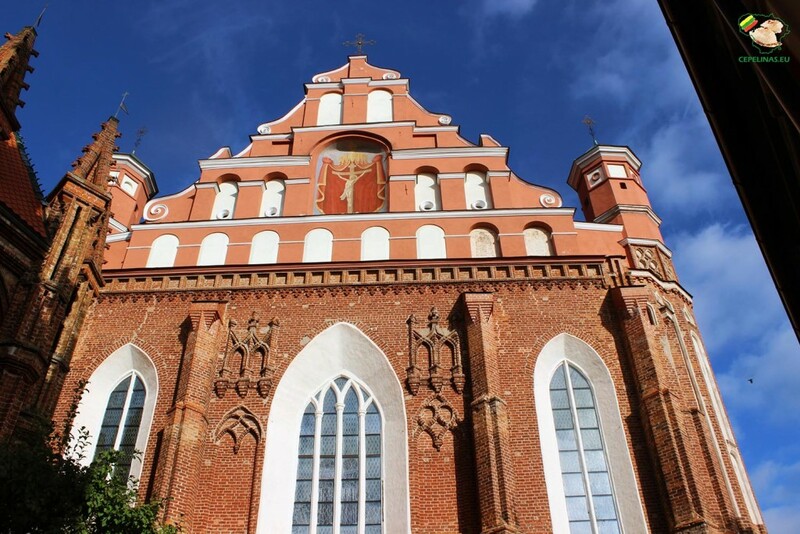 The Bernardine church and Monastery is one of the largest gothic sacral architectural ensemble in Vilnius, although in the 17th and 18th centuries buildings acquired the Renaissance and Baroque features. Being much larger and more archaic than the St. Anne’s Church, it forms and interesting and unique complex with the latter. Gothic pointed-arch windows and buttresses stand out on the façade. Above them rises a pediment with twin octagonal towers on the sides and a fresco depicting the Crucifix in the middle niche. A Gothic presbytery is the oldest part of the church. 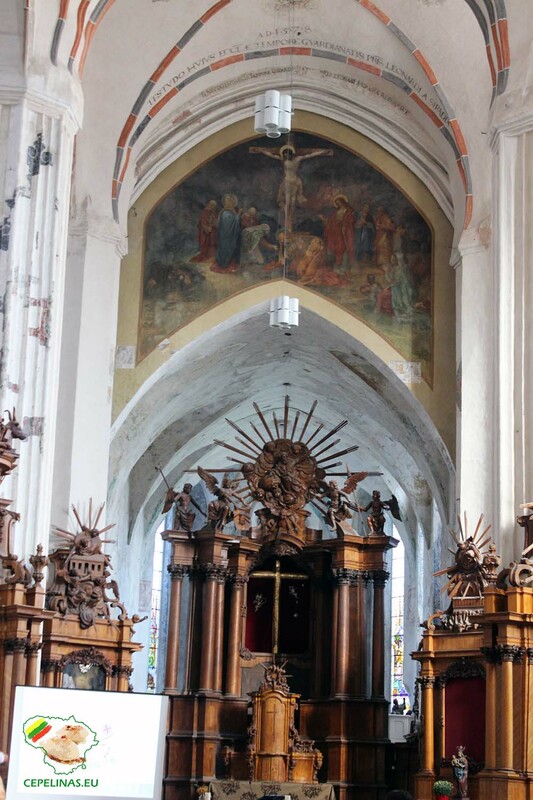 There are many valuable 16th-century wall paintings in Bernardine church and the oldest known artistic Lithuanian crucifix sculpture from the 15th century. The walls of the naves are decorated with Gothic polychrome frescoes, partly uncovered in 1981 – dynamic, colourful figural compositions on biblical and hagiographic themes, with occasional inscriptions in Gothic characters, floral ornaments, heraldic insignia etc. These mural paintings date from the early 16th century and are considered unique in the world: their composition and type of presentation of the subject matter belongs to Renaissance, and the stylistics – to the Gothic style.